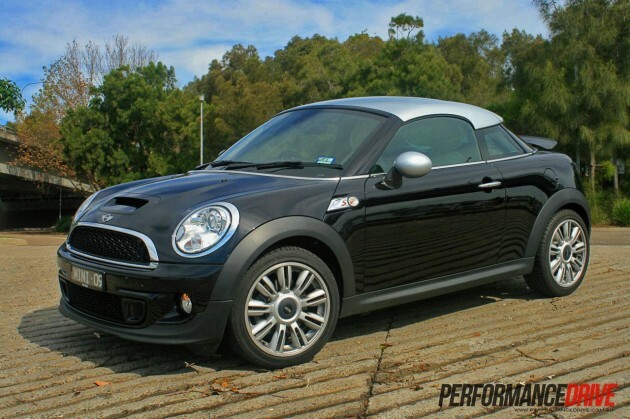 You might be thinking, ‘what is that cute little thing?’ Well, this is the new 2012 MINI Cooper S Coupe. It’s the latest model to join the ever-expanding showroom range, and it’s the smallest, most playful MINI yet. 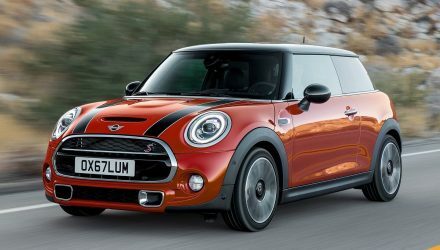 It felt like it was only a few months ago when there were reports circulating merely speculating the idea of a sporty coupe MINI. 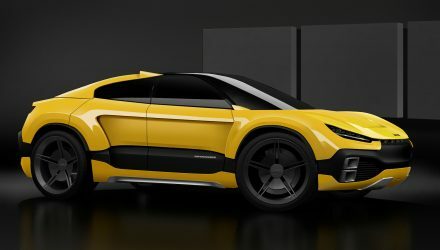 The Coupe has gone from concept to production in around two years, retaining the fun and quirky styling cues. 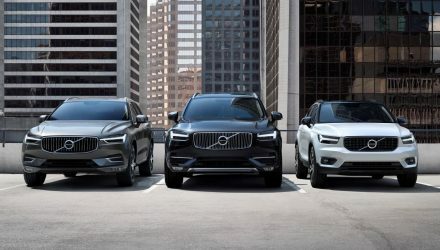 The Coupe has been modelled on the look of a baseball cap being worn backwards, providing a clear indication of its younger-generation target market. 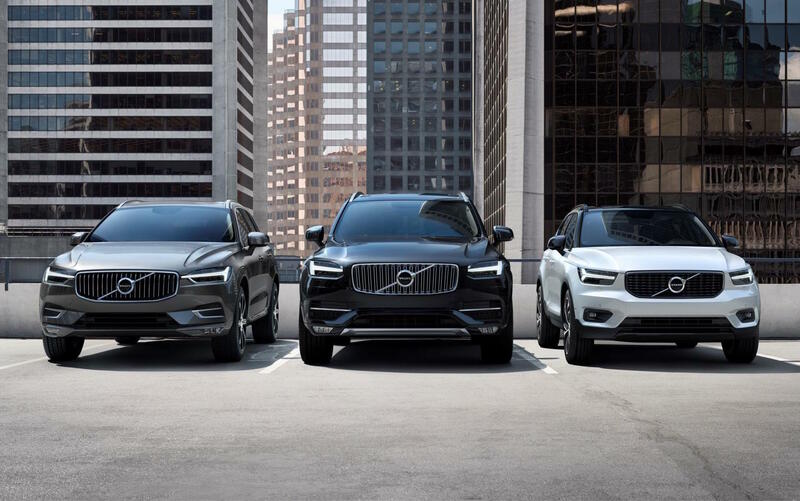 The new Coupe comes in two flavours. 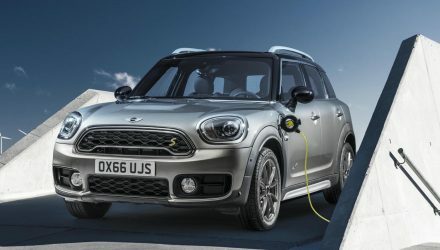 There’s the entry-level Cooper S Coupe (as tested), which comes with the Cooper S 1.6-litre turbo four-cylinder engine producing 135kW and 240Nm, and there’s the John Cooper Works version which comes with a boosted version of the same engine, producing 155kW and 280Nm. 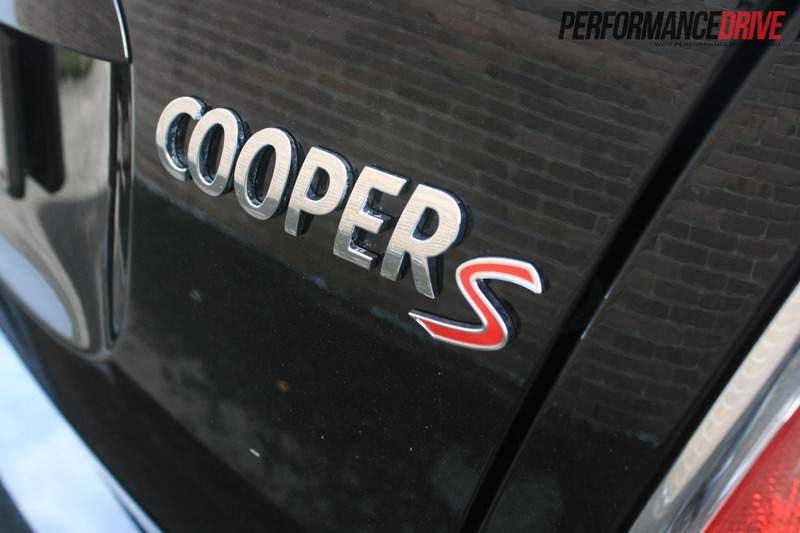 The Cooper S is available with a six-speed manual or a new six-speed automatic, while the JCW is only available with a six-speed manual. Prices start at $42,990 for the Cooper S Coupe, and $52,600 for the JCW Coupe. 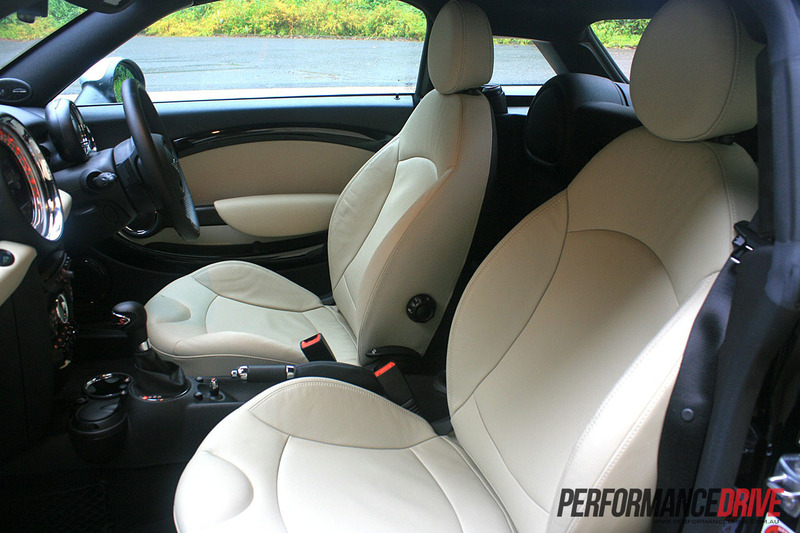 Jumping inside, the Cooper S Coupe feels like you’re sitting in the waiting room at a decorator’s suite. 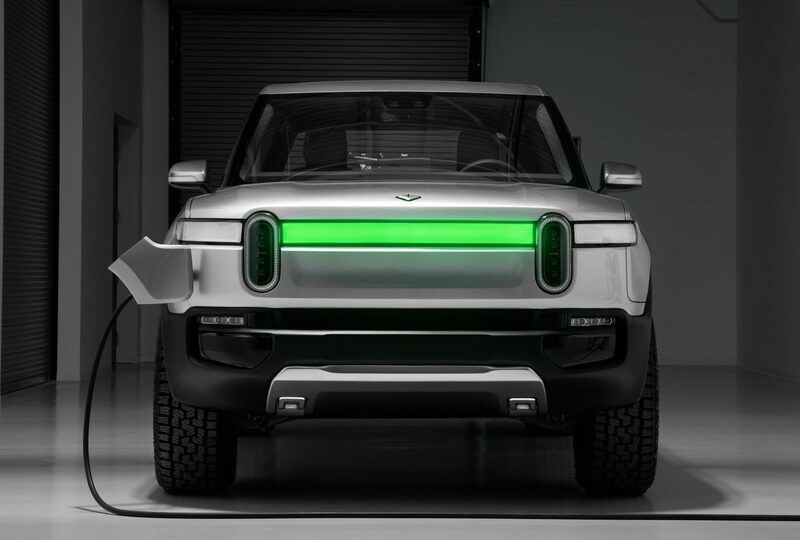 The huge centrally mounted speedo is the first thing you’ll notice, while lots of other interesting design highlights pop out as you look around. It doesn’t look like it at first, but the giant speedo features a multimedia screen embedded inside it. 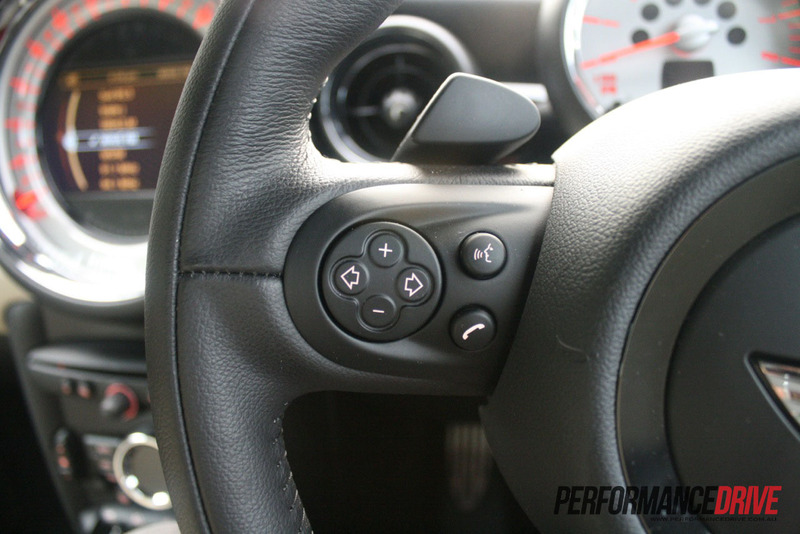 All controls and settings are then made via a little mouse/stick down near the handbrake. 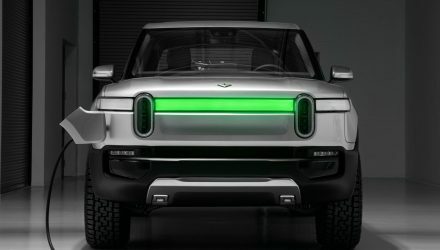 There’s plenty of chrome trimming throughout, and, on our test vehicle, funky light lime green/cream leather sports seats. They offer good support thanks to waist-hugging bolsters. 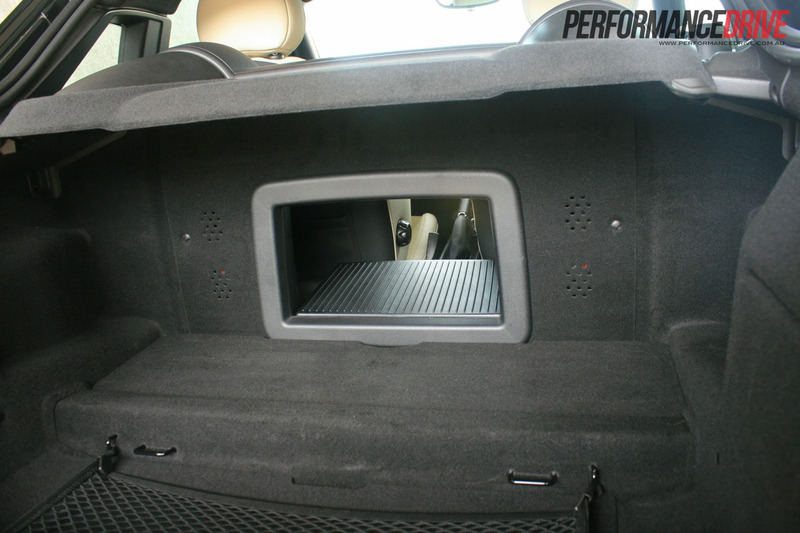 Behind the strict two-seat layout is straight into the cargo area. 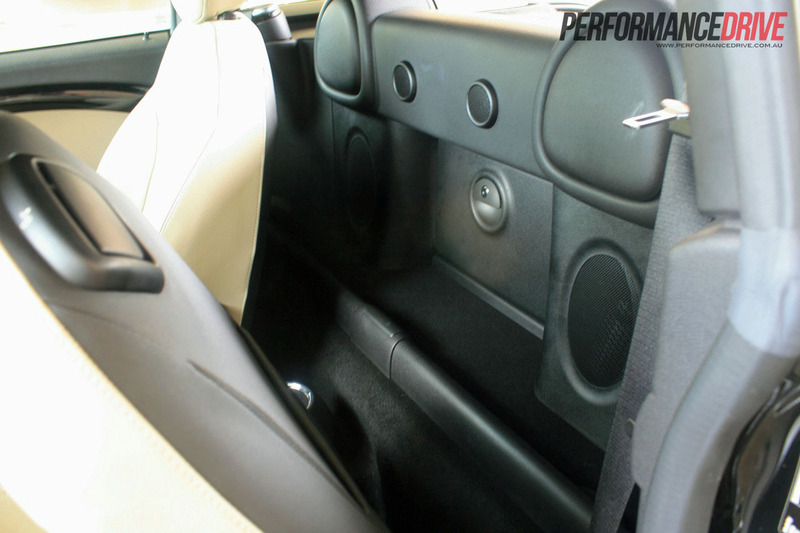 There is a handy little shelf behind the seats though which can be used to store light shopping. 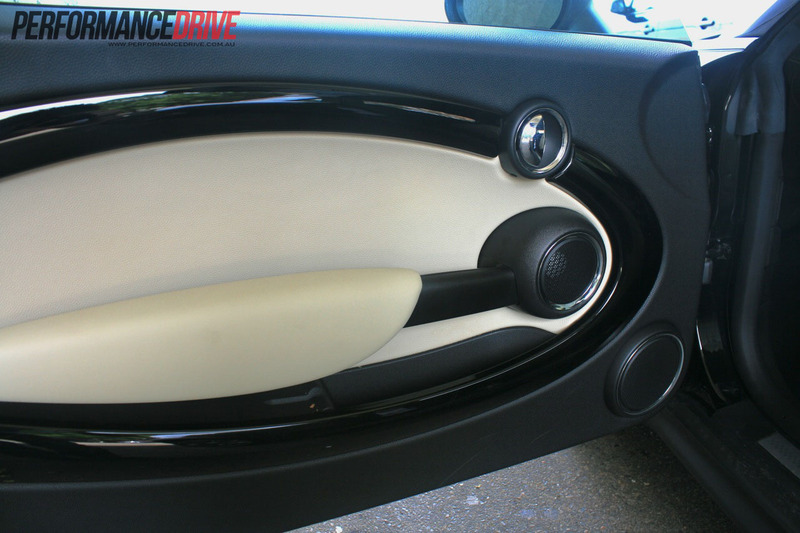 There’s also a poke-through drop down flap in the rearward wall for accessing the boot. 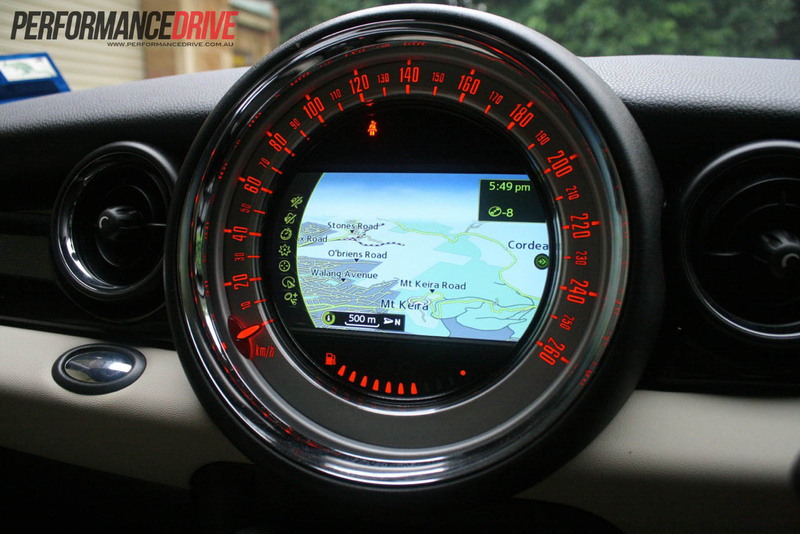 There are lots of little touches and gizmos like this that make the MINI Coupe an intriguing package, you find yourself simply sitting inside it just to discover everything. 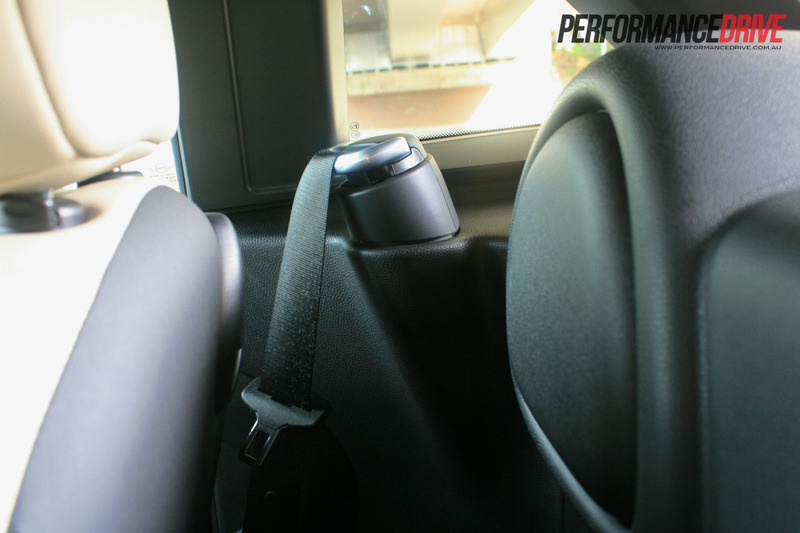 We wouldn’t say the interior is cramped, but it is confined with little in the way of wasted space; you only need to glance over your shoulder while checking your blind-spot to realise the taillight is right there. There is lots of headroom thanks to two cutaways in the ceiling, while the seats can be slid back a fair way for taller people. In between the two seats there’s three cup holders – two at the front and one at the rear of the centre console – and space for the handbrake. But that’s pretty much it. 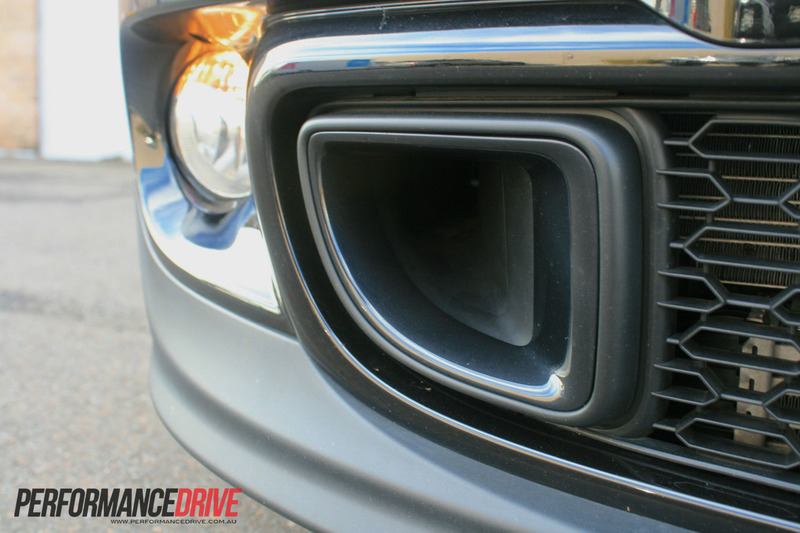 As for equipment, our test vehicle is fitted with lots of options, including sat-nav ($1150), an awesome Harman/Kardon 10-speaker stereo ($1300), leather, a two-tonne colour scheme, and the six-speed automatic transmission. 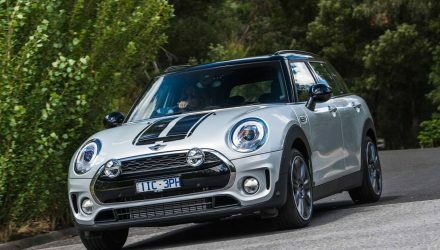 There are lots of optional extras, like heated Recaro seats ($2700), black tinted headlights ($200), and a John Cooper Works package with alloy wheels, bodykit, and interior accessories ($2200). Out of all the options, the satellite-navigation and Harman/Kardon stereo are boxes definitely worth ticking. 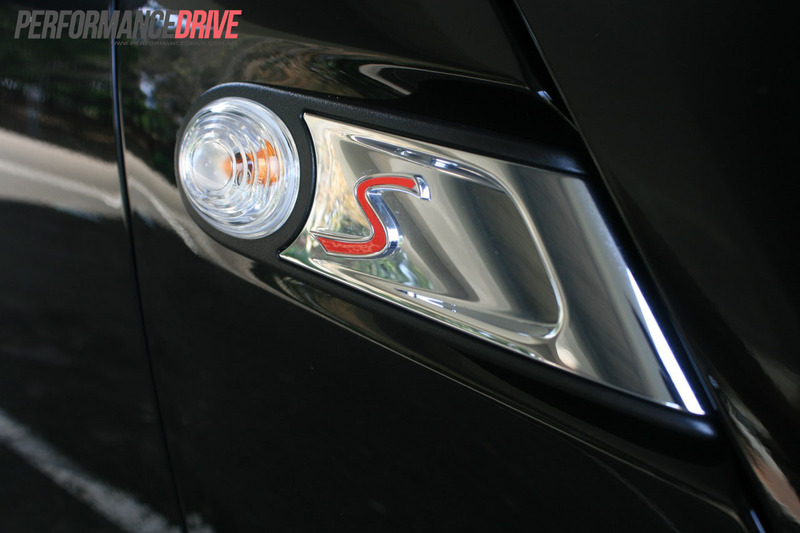 We found both systems worked very well, and heightened the overall driving/cabin experience. 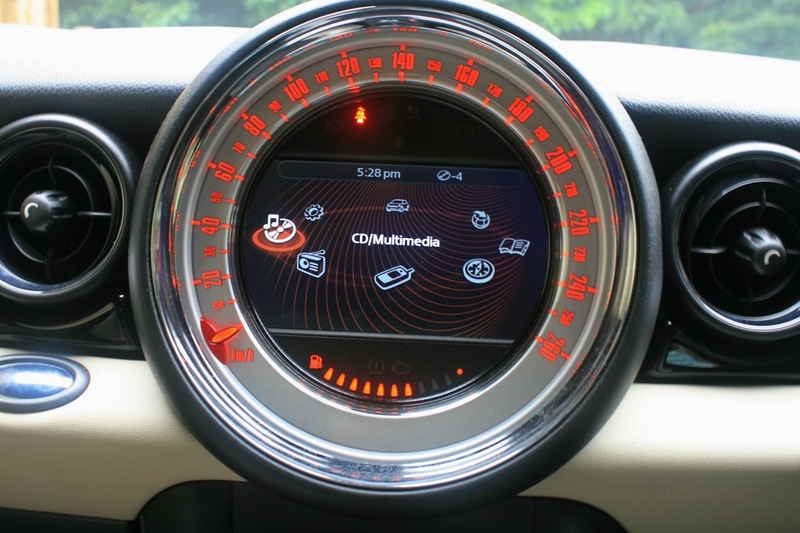 The 2012 MINI Cooper S Coupe, and Roadster versions in fact, are the first vehicles from MINI to incorporate a new ‘three-box’ design construction. The engine room, cabin, and boot sections are all developed as a separate ‘box’. 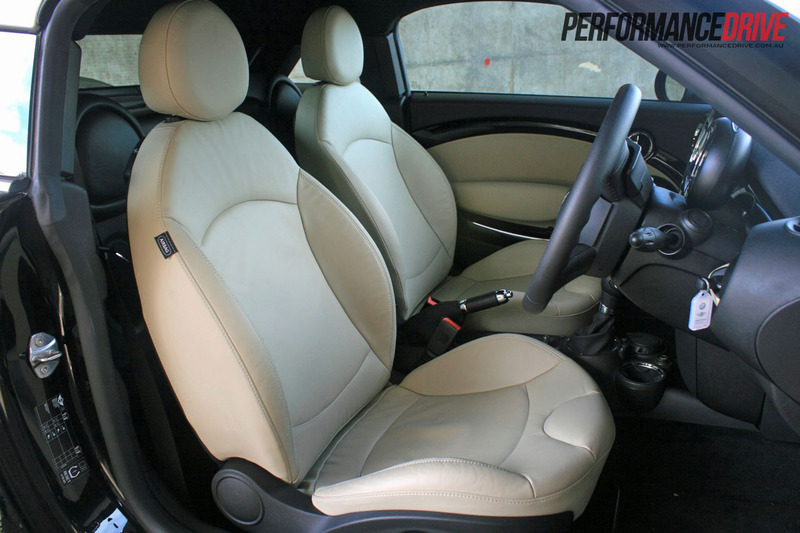 Basically, this means the Coupe offers a clever layout which is both compact and perfect for city living, while also practical and accommodating for two people. 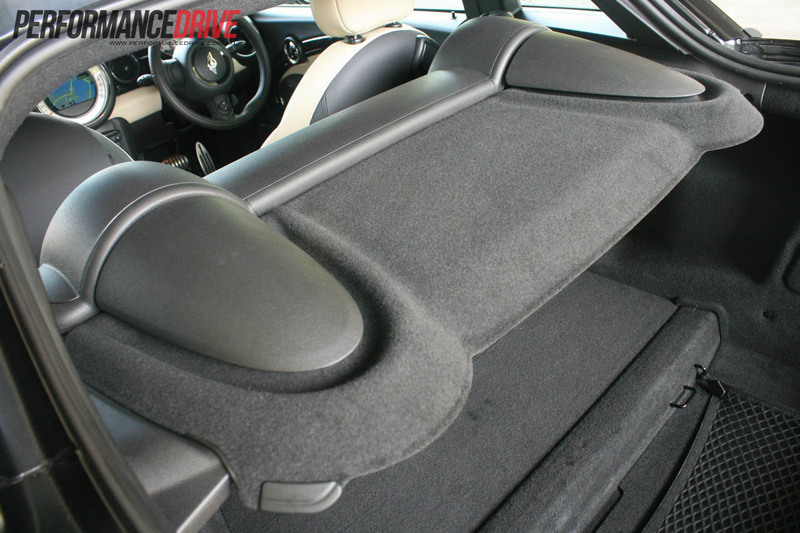 The boot, for instance, can swallow 280 litres worth of cargo. 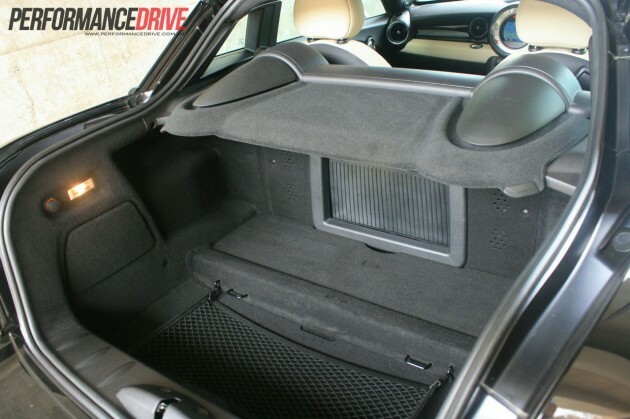 This is a lot larger than the normal Cooper S hatch boot which offers 160 litres. The Cooper S hatch boot might be smaller, however, there are rear seats which can be folded down to offer a much larger 680 litres of space. Despite the Coupe seeming more petite than the conventional hatch, the Coupe is actually longer (3734mm vs 3714m), with the same width (1683mm). It is considerably shorter thanks to that baseball cap roof design (1384mm vs 1407mm). Driving about in town the Coupe certainly attracts lots of attention. 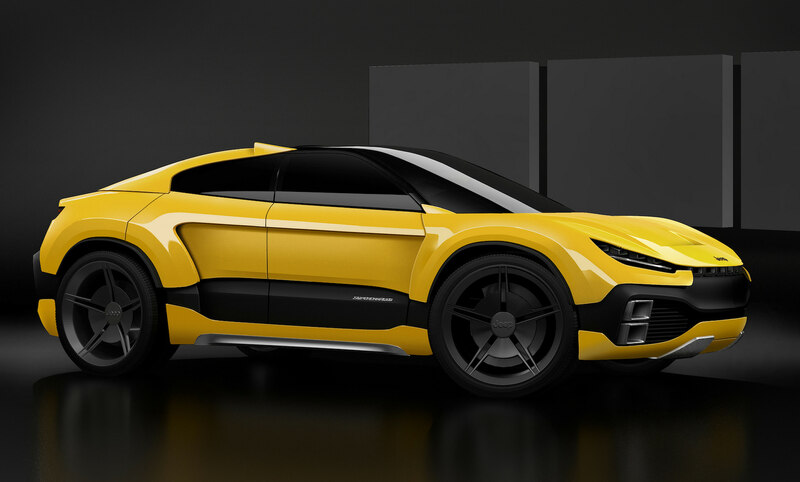 This is mainly because the Coupe still looks like the original concept version. It’s very low with a neat yet aggressive bodykit. 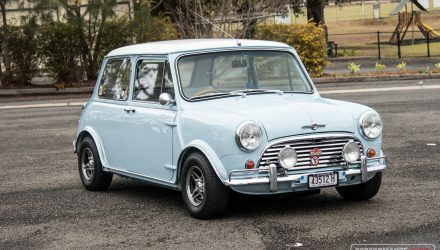 It almost looks like a retro ‘chop-top’ MINI from some angles as well. 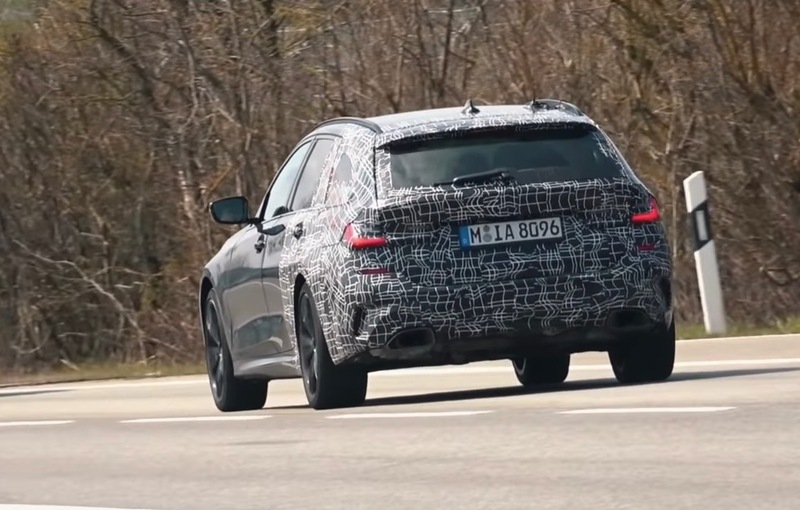 With the electric spoiler engaged at the rear – operable via a toggle in the cabin (it also automatically deploys above 80km/h) – the Coupe gives off a boy racer look, in a good way. 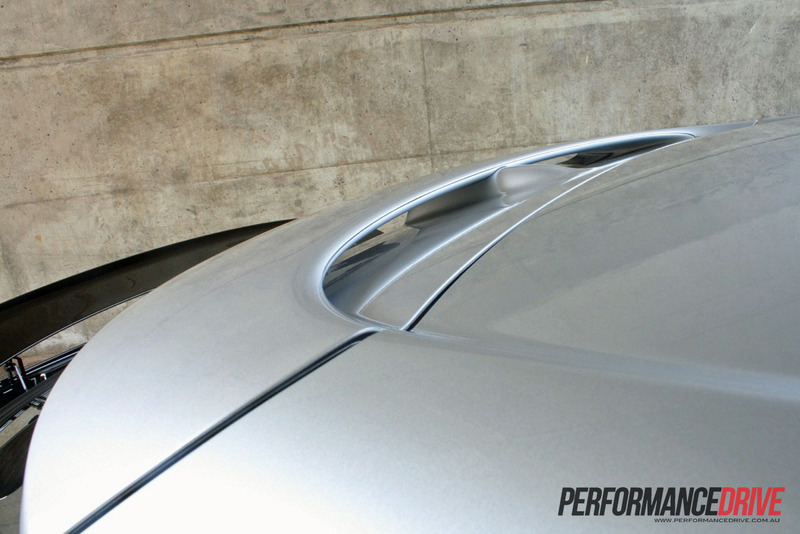 It matches the permanent roof-mounted spoiler and makes the Coupe look like a 1990s rally car. 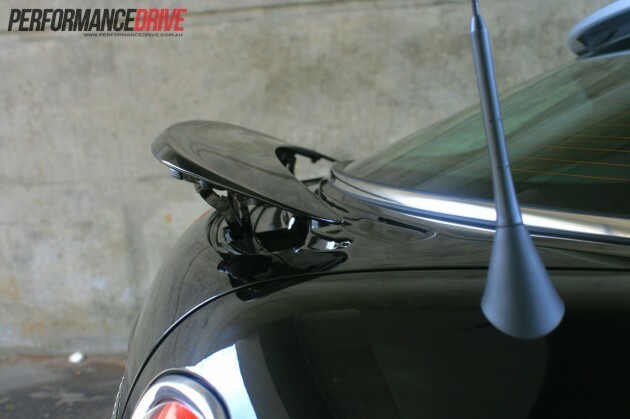 MINI says the electronic spoiler also provides up to 40kg in added downforce at maximum speed. 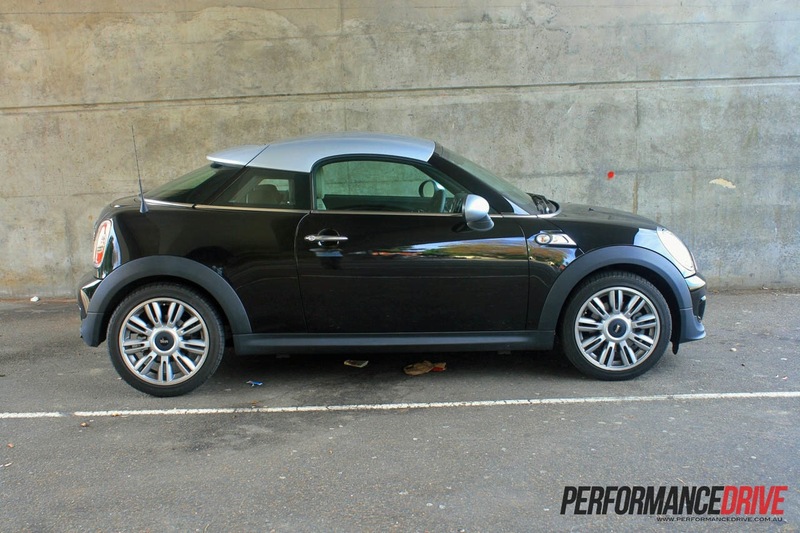 Other trimmings and highlights are carried over from the MINI Cooper S hatch design philosophy, such as the centrally-mounted twin exhaust outlets, the letterbox-style intake in the bonnet, and the brake ducts in the front bumper bar. 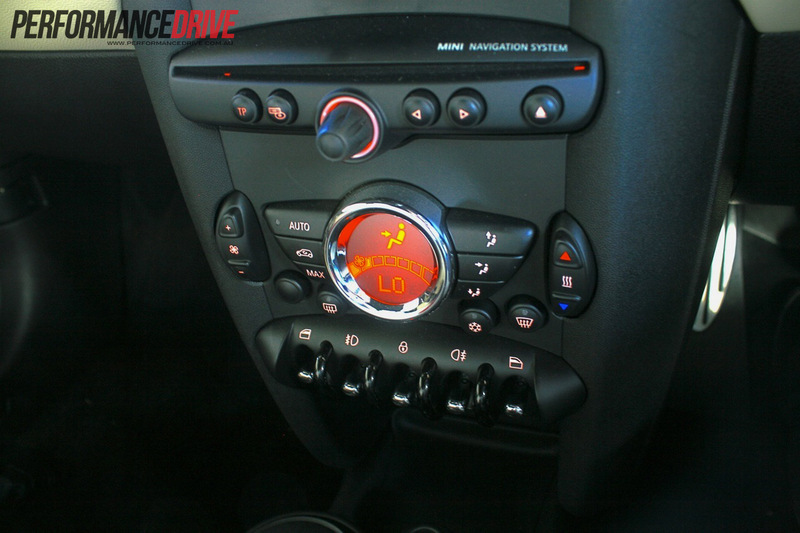 As for safety, the 2012 MINI Cooper S Coupe comes with switchable traction and stability control. ANCAP is yet to test the Coupe version, however, it has previously given the normal Cooper five stars. 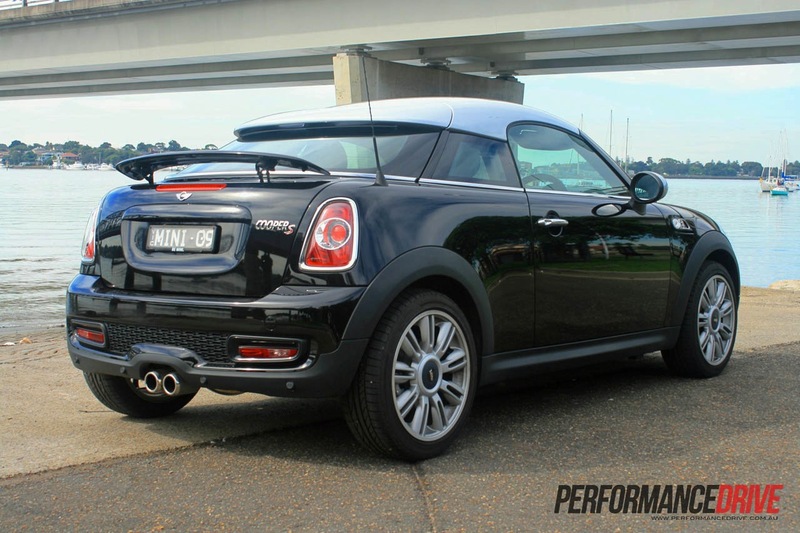 The 2012 MINI Cooper S Coupe is unlike any car currently on the market. It’s so direct and nimble, it really does feel like a go-cart. It darts into corners while remaining extremely stable. 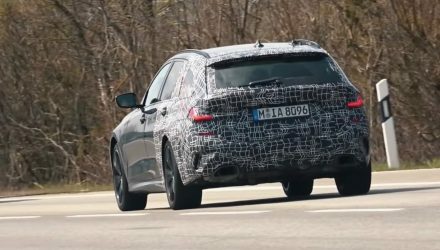 It’s also very neutral; it’s almost impossible to provoke understeer, while oversteer is pretty much out of the question. Even if you do manage to cause oversteer, it’s not something that’s going to last long. 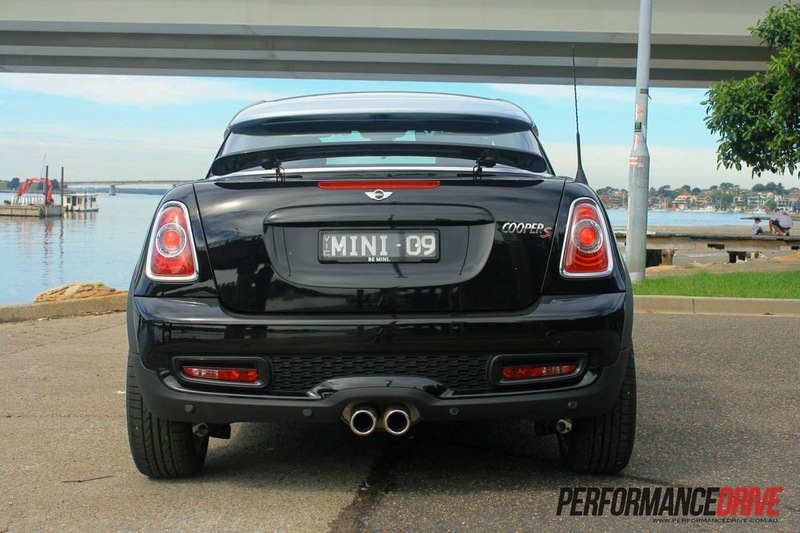 The great handling is thanks to a sporty and firm suspension setup. 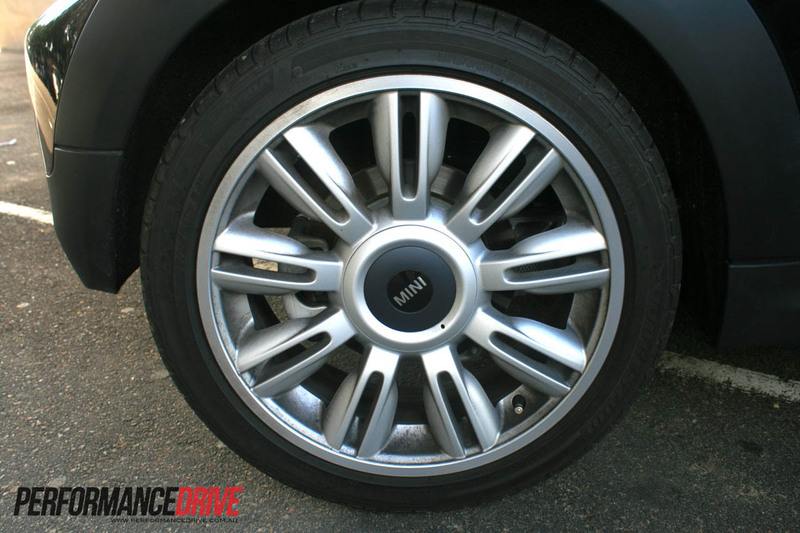 It’s not too stiff, but it can become slightly tiresome on long country-road journeys. 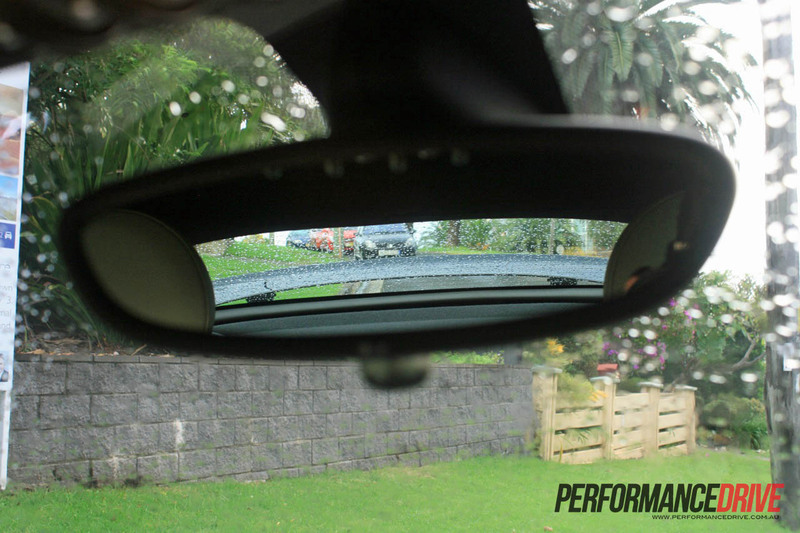 It must be reiterated that this is a focused car. If you’re winding up a tight mountain road, or exercising any form of sporty/active driving, the Coupe truly shines. Poking the cute proportions through heavy traffic and tight streets is a breeze too. 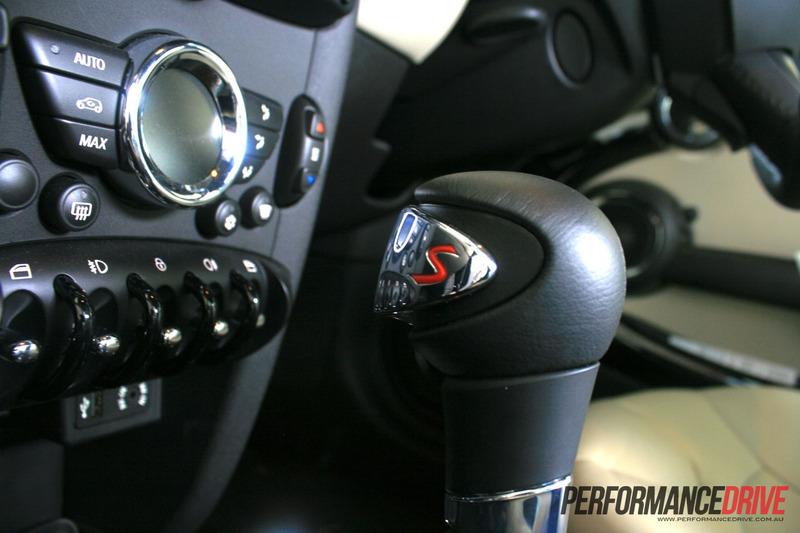 The steering is quick, and becomes even quicker when the ‘Sport’ button is pushed. One word of warning though, if you do choose to drive around with the rear spoiler engaged, rear visibility through the rear-view mirror is hampered. 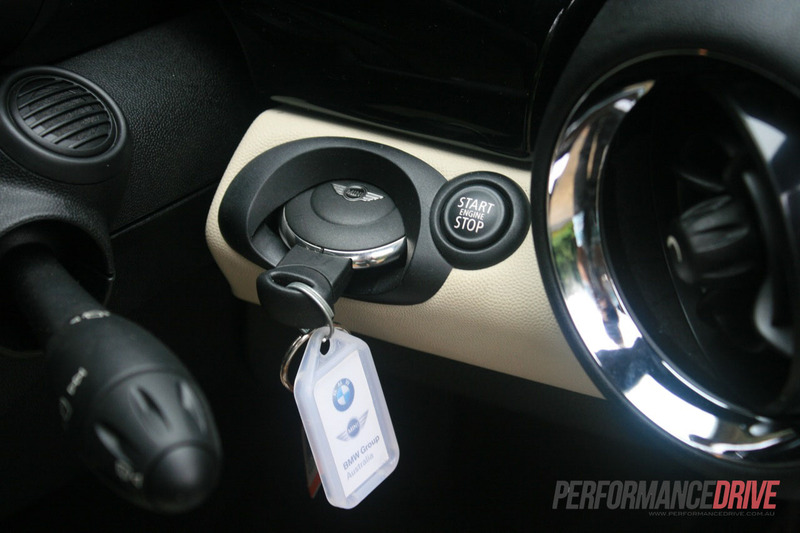 Speaking of that Sport button, when pushed, the throttle becomes much more sensitive, the steering is quicker, and on automatic versions, gear changes are also made quicker. 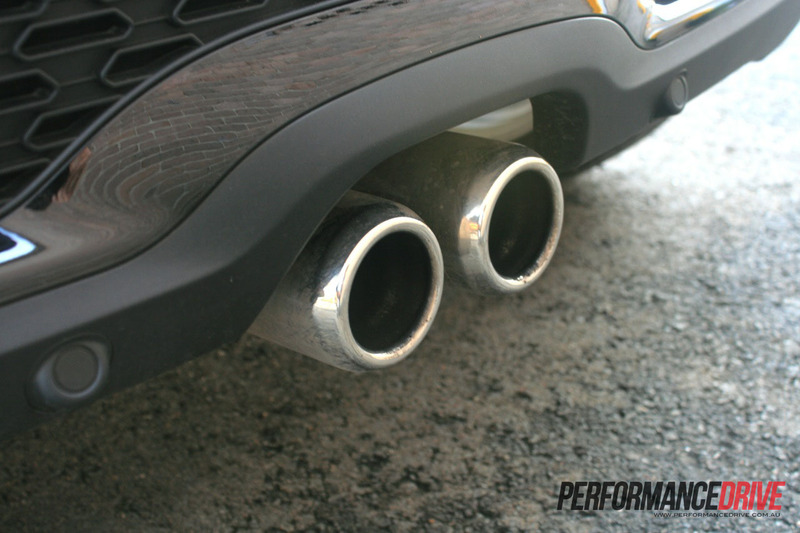 We found that with the system on, the exhaust also gave off sweet little pops and cracks on the overrun. 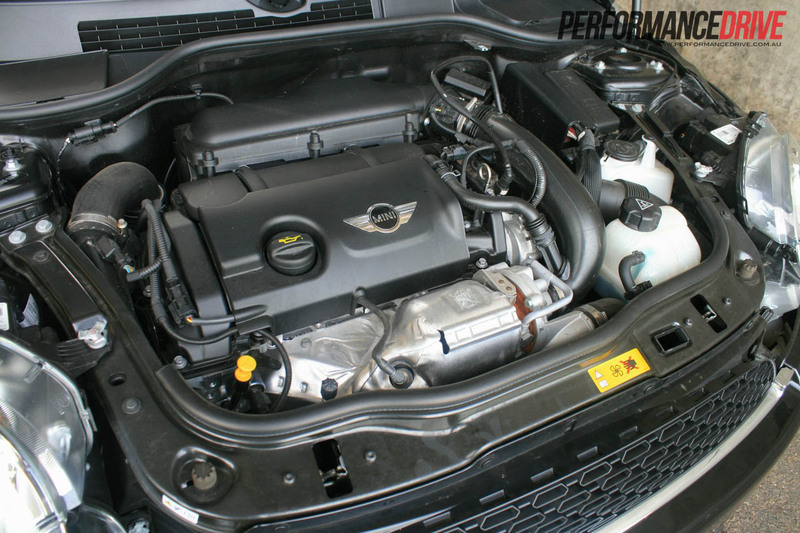 Under pressure, the turbocharged 1.6 gives off a raspy roar, again, like a rally car. It provides a decent shove in the back, with 0-100km/h coming up in a tested 6.9 seconds on this automatic version. It screams through the gears really well, and when Sport is engaged, the transmission anticipates and initiates downchanges under braking. 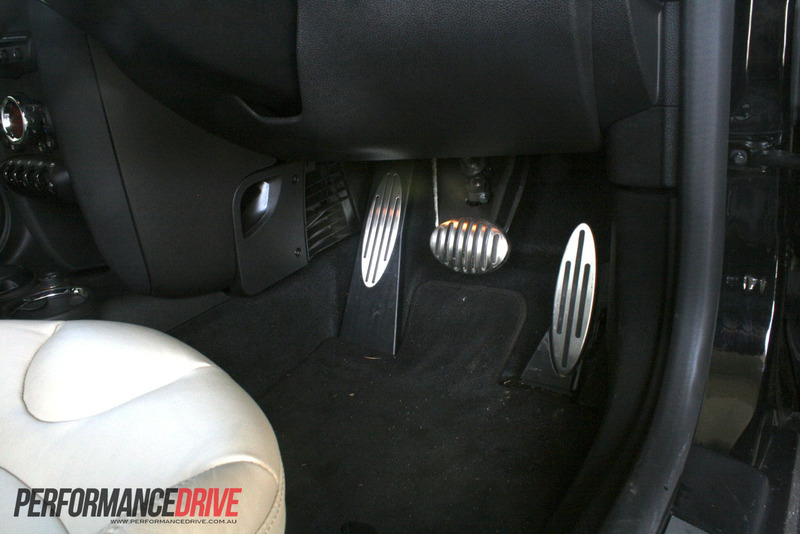 We can’t help but think a dual-clutch transmission would be nicer – or simply the manual ‘box – for the ultimate interactive driving experience, especially as some of its rivals offer the technology. The only criticism to this auto is the upchanges don’t feel or sound all that inspiring, with the next gear ‘slurred’ into propulsion. Changes are very smooth though. 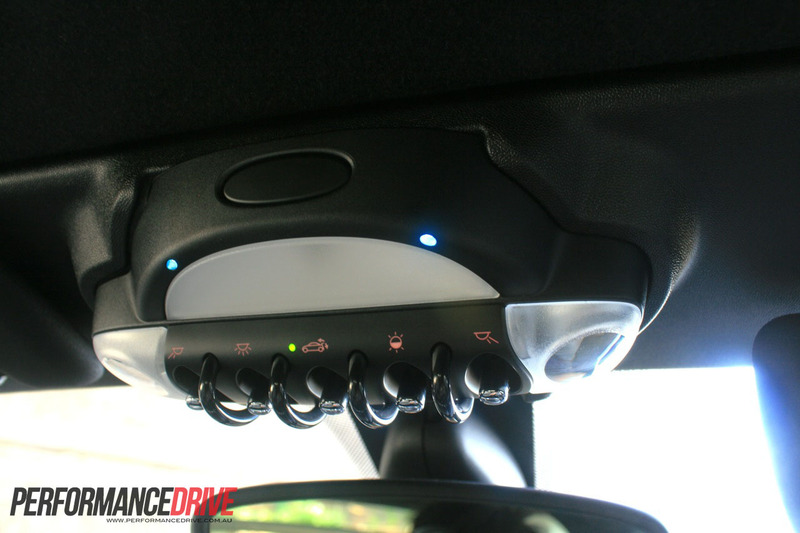 You have the option to use paddles mounted on the steering wheel as well. The paddles aren’t the conventional type, with left for down and right for up. 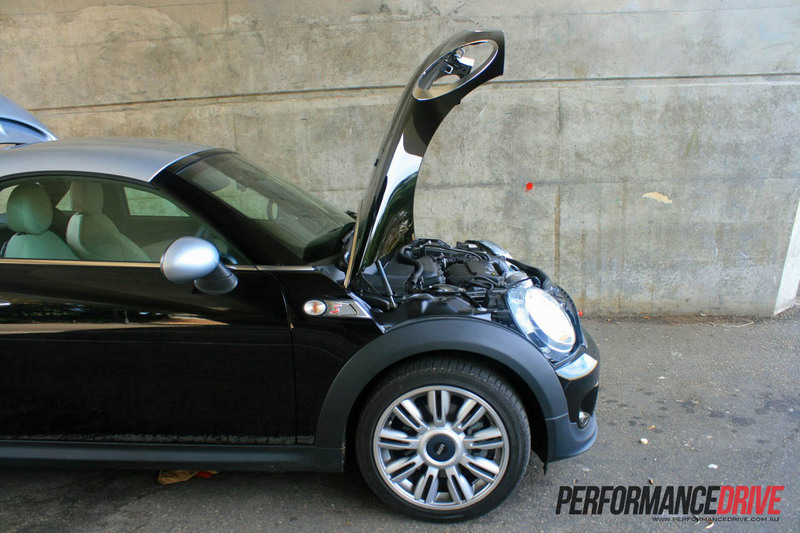 Instead, MINI has gone with the push for down and pull for up function. You might get some criticism on these, but at the end of the day, it takes you around five minutes to become used to them. 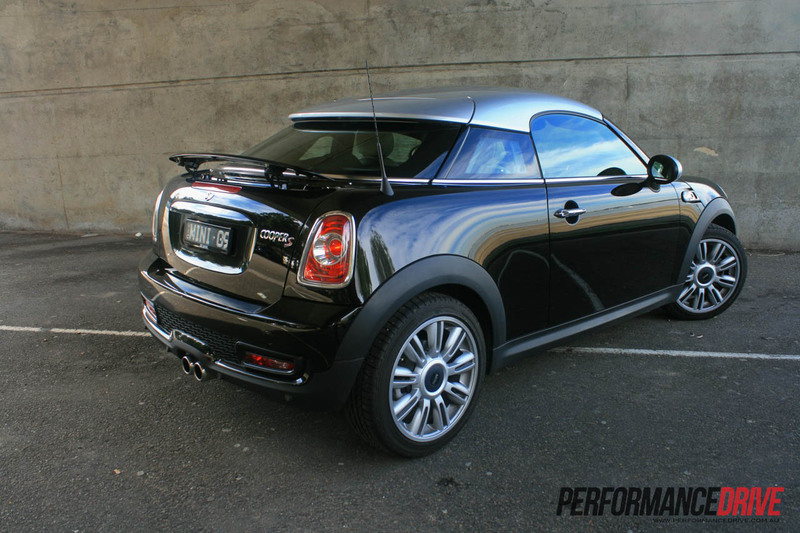 The 2012 MINI Cooper S Coupe follows in the footsteps of the already fun and rewarding driving character set by the normal Cooper S hatch. 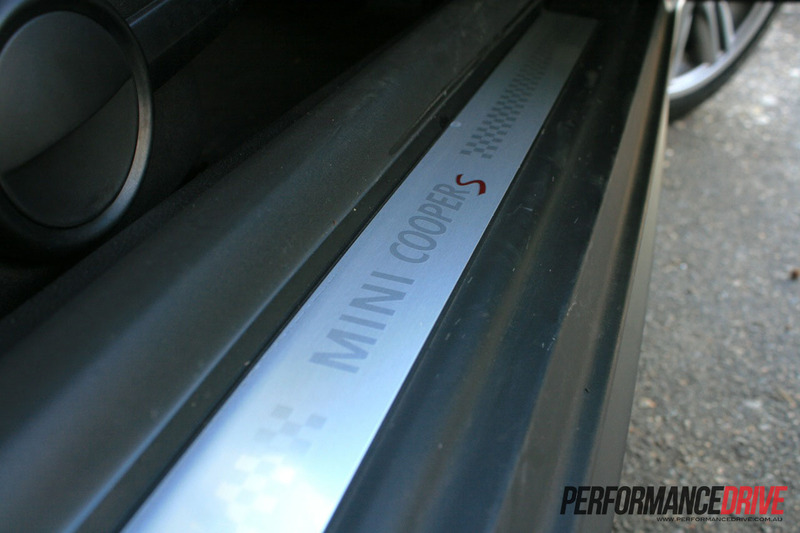 In the Coupe, it’s even more agile, and more direct, and even more fun. 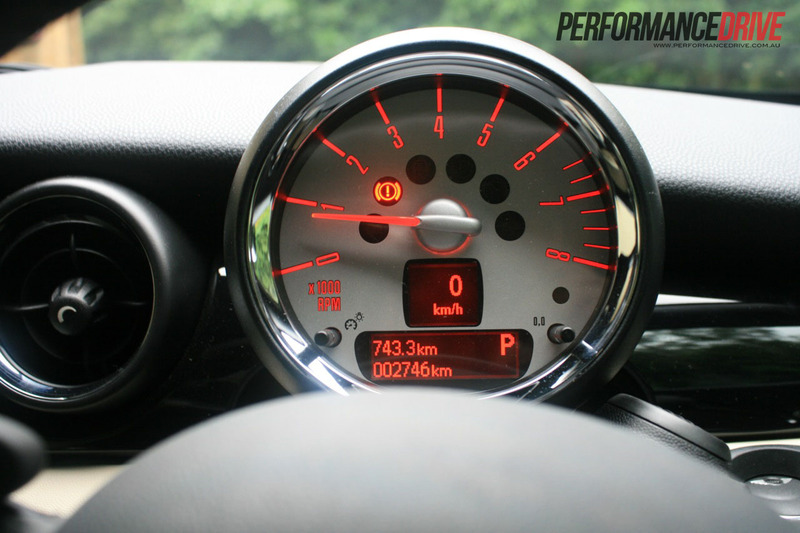 PerformanceDrive will be testing the John Cooper Works version in the near future, which is regarded as the quickest MINI ever. 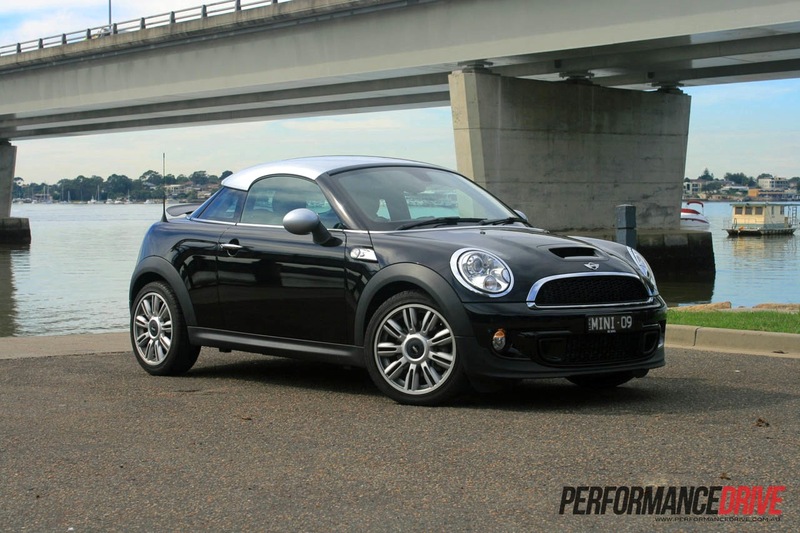 If you’re in the market for a super-quick, nimble, and extremely fun compact sports car, the Cooper S Coupe is hard to beat. It’s got the dynamics, reliability and build quality of BMW (parent company), while it offers all the flare and pizazz MINI is renowned for. It’s also filled with interesting gadgets and technology, which means you won’t become bored of it in the years to come. 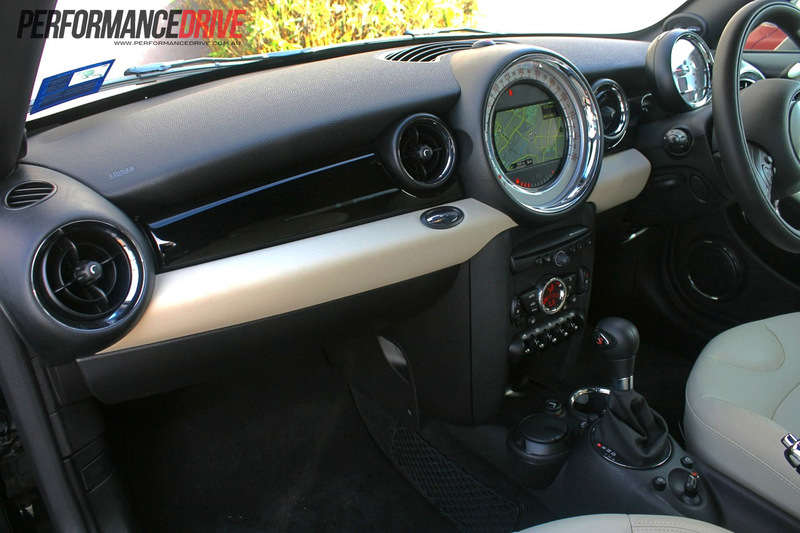 With loads of colour combinations and interior trim options on offer, the Cooper S Coupe is one of the most interesting and playful compact cars currently on the market. As a bonus, we averaged 6.8L/100km according to the trip computer, and that was mostly under squirt-about driving conditions, so it’s also an economical everyday city car. Easily one of the top favourites. With its practical layout, great dynamics, and cracking twin-charger engine, it’s no wonder really. 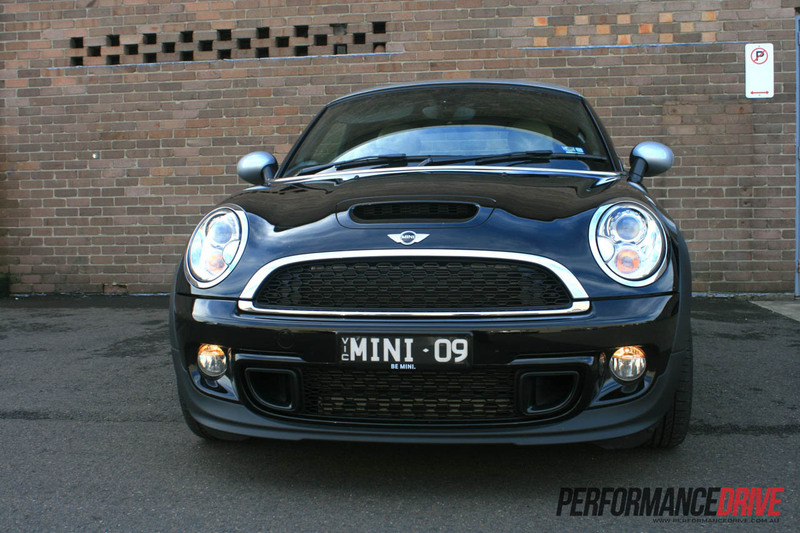 Based on a very similar platform as the MINI, with the same engine only tuned to 147kW. An attractive and interesting proposition, with great handling. Hyundai’s new Veloster is definitely one to watch. It might not be a direct rival, but it’s already the most popular sports car under $80,000.